I recently started a new Facebook page for Sommer Pride! Yay! 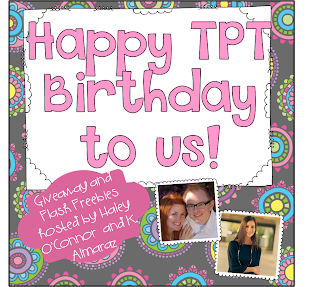 It was super easy to set up - way easier than this here blog! I just got the Fan Freebie tab working (fingers crossed), so head over there and pick up a fun freebie - only available for my Facebook fans! In 30 short days I will open the door to my Kindergarten classroom and welcome the newest class of 4 and 5 year olds. One of the books I love to read the first few weeks of school is Rosie's Walk by Pat Hutchins. Though this book was published in 1968, children today still love the story of Rosie the hen walking on the farm unaware that a fox is following her. I use this book to begin teaching about directional words such as across, over, through, and under. 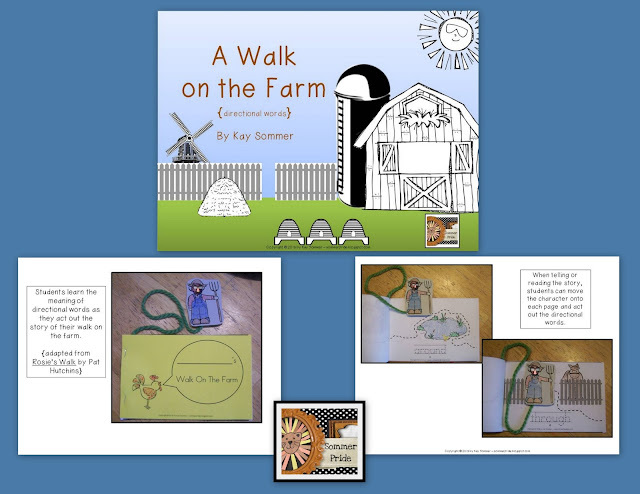 My students act out Rosie's movements in the classroom and then they work on a fun booklet that I created called A Walk on the Farm. In the booklet, students become the main character and they are able to move the character and reenact the story. A student photo is glued on the farmer to create the main character. The figure is stapled or taped to a piece of yarn and then stapled into the spine of the book. This enables students to move the farmer character onto each page of the book. My kids love this interactive lesson! 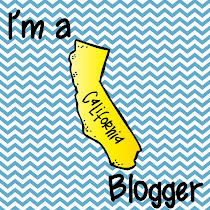 Bloglovin' is here! And I am truly lovin' it! I recently moved over to Bloglovin' and I love that I am able to keep up with all of my favorite blogs, since Google Reader is now gone. Each day I get one email from Bloglovin' - a daily feed of the latest posts from the blogs that I am following. Bloglovin' makes it very easy to read about all of the latest ideas from so many fabulous educators! 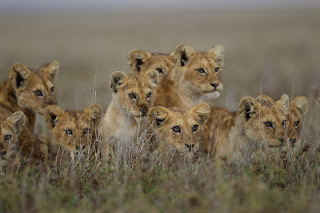 If you would like to keep up with my teaching tidbits, please follow me on BlogLovin' by clicking the button at the top right. 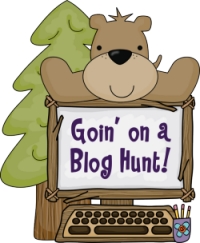 Laura Candler is hosting this Goin' on a Blog Hunt linky and if you would like to join in head on over to her blog, Corkboard Connections. Be sure to download her guidelines for joining in the linky. Check below for lots of great blogs to follow!